It can be challenging to look after a pet with a food allergy, and choosing the correct diet for your dog or cat is critical. The culprit in food allergies is a protein or starch that that has been part of their regular menu for up to two years, for example beef, wheat, corn or chicken. A suitable hypoallergenic diet will therefore need to contain ingredients that they’ve never been given before. The only way to check if your pet is allergic to food is to feed a hypoallergenic diet and nothing else for eight to twelve weeks. 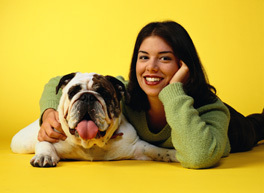 If your pet is sensitive to something in their diet, switching to such a food should result in a reduction of symptoms. These foods contain unusual proteins and starches, such as kangaroo, venison or rabbit, accompanied by tapioca, sweet potato or peas. These ingredients aren’t likely to be found in regular supermarket pet foods, but instead are usually available from your veterinarian. Prescription hypoallergenic diets are usually more expensive than most other kibbles, but when you have to manage allergies, it’s worth it over the long term. Cheaper foods can be contaminated with allergens such as soy or beef when they are manufactured and this can be enough to trigger a reaction in sensitive animals. These diets contain commonly used protein sources such as chicken, but the protein is hydrolyzed, or broken down, into particles so tiny that they aren’t likely to cause an allergic reaction. Howeer, some veterinarians think that they are still a problem in food allergic pets, in spite of the extra processing they have undergone. Many dog owners like to make their pet’s meals in their own kitchen, and you can still do this if you have to use a hypoallergenic diet. All you need to do is choose one source of protein, such as fish, and one source of starch or carbohydrate, such as tapioca or sweet potato. Cats don’t need the carbohydrate added and will do fine on an all-meat diet for this. You should feed this food for 12 weeks with no extras such as treats or leftovers from your own dinner plate. The main disadvantage of this feeding method is that this diet isn’t nutritionally balanced and completely unsuitable for long term use. If your pet responds to this diet, then you’ll need to add some supplements to it to make it balanced; your vet can help with this. Does feeding a grain free kibble help with food allergic dogs? Not necessarily. Although grain free is popular at the moment, these foods are really only of benefit in those animals that have an allergy to that grain and the only way to tell if that’s the case, is to use a hypoallergenic food. Hypoallergenic diets play two roles in helping to manage the food allergic pet. Firstly, they are used to diagnose the condition – if your pet is food allergic, a change to an appropriate diet will see an improvement in their symptoms. Secondly, they are used to treat the condition long term, and for this, you should choose a meal that is nutritionally balanced. Could feeding dogs table scraps and other human food be harmful? Here at Dog Nutrition, we often receive enquiries from people who are keen to understand what exactly ‘proper dog nutrition’ means. The dog is not a true carnivore in the same sense as, for example, a cat. This means a dog’s diet can be more varied and still produce positive health. Whereas a cat MUST eat meat in order to be truly healthy and for proper nutrition to serve its goal. So what does proper nutrition mean for dogs? An important nutrient that all dogs need and one that is responsible for furnishing energy in their body are fats. Fats supply energy for the body to use. It also has a small role in building strong cells and promoting the absorption of nutrients. However, similar to the essential amino acids, a dog’s body isn’t able to produce these essential fatty acids, and therefore has to come from an outside source, from the food they eat. Dogs do not usually develop a deficiency in fatty acids because their basic diet normally provides them with sufficient amount of energy from fat. In fact, a small amount of extra fats benefit their body in several ways. It protects them from the cold; it provides cushion to their body; and it serves as a protective layer of covering around different organs in their body. Actually, dogs are very efficient in using their stored fats because their bodies have the ability to easily turn these fats into energy when needed. Too much of a good thing can be a bad thing. Fats are very beneficial, but it can become a concern when the dog eats too much of it. Too much fuel in the dog’s body, regardless of where it came from, is converted into body fat, which is then stored in the body. Too much fat in the body results in obesity and other conditions that are related to obesity such as diabetes, canine osteoarthritis, and heart disease. There is only a limited amount of fat that is used for protection against cold, cushion, covering, and extra energy. But when the maximum amount of stored fat is reached and applied for these purposes, the dog still continues to stock up fat and does so to the same degree that is equivalent to the excess energy that it consumes. For instance, every 3,500 calories that a dog eats in excess to what his body requires will be turned into 1 pound of body fat. It is important for all dog owners to know that the only way for their dogs to get fat is if they take in more calories than their bodies use. Similarly, the only way for the dog to lose weight and get rid of the excess fat is by taking in less calories than what their body requires. How does protein work in a dog’s body? Picture a string of beads and each string is needed to produce a complete picture or an artwork. The job of protein in your dog can be compared to this strings of beads. Each protein is similar to individual strings of beads. Just as these strings are put together in the right order to create a picture, different types of proteins have to go together to be able to produce a dog. Each string is made up of different numbers of coloured beads that are lined up in an exact pattern to produce certain body parts such as the hair, the nose, or the ear of the picture. The coloured beads can be compared to amino acids, or substances that are connected to the strings to produce different proteins. There are 23 amino acids that are the molecular building blocks of protein. A dog can produce 13 amino acids inside his body while the other 10 amino acids must come from an outside source and has to be consumed. 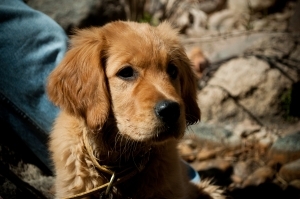 A puppy will not grow unless he is supplied with the remaining 10 essential amino acids. Without them he will become sick and will eventually die. Similarly, if an adult dog is not getting the proper amount of these 10 amino acids, he will become weak and suffer nutritional deficiencies. These 10 essential amino acids can be acquired from meat and plants, which offer the best sources because they contain the largest number of essential amino acids. Not all proteins are the same, as some are better for your dog than others. The amount of protein a dog needs depends on how much of the essential amino acids are supplied by that protein. The protein’s ability to provide the dog’s Minimum Daily Requirement (MDR) of the 10 essential amino acids is referred to as its “biological value”. 1. Proteins are the building blocks of your dog’s body. 2. Proteins are necessary for all aspects of growth and development and are very important in structural makeup and the immune system. In addition, they are burned as calories and can be converted to and stored as fat if needed. 3. They are required for healthy nails, skin, and coat. 4. They are necessary for the production of hormones in the bloodstream. 5. They provide a healthy immune system. The main source of carbohydrates are acquired in plants. There is also one source of carbohydrate that comes from meat called glycogen, but it is only found in small amounts in the liver and muscles. If your dog is not getting enough carbohydrates in his diet, the liver has to do extra work to make glucose from proteins. On the other hand, when your dog is getting enough carbohydrates in his diet, his body will not have to use proteins to get its required amount of glucose, therefore, saving these precious proteins to be used to for other jobs that they are required to do. Vitamins are not considered to be building blocks, and they are not necessarily required for the production of energy. However, they are important in your dog’s health in a number of ways described below. 1. Dogs need vitamin A for healthy skin and coat. Skin conditions and poor coats have been associated with lack of vitamin A and/or vitamin B. 2. Vitamin B is responsible for a healthy immune system. 3. 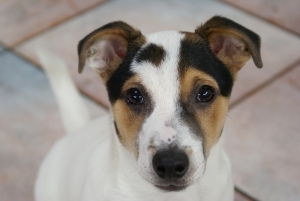 Studies have concluded that vitamin C prevents dogs from getting hip dysplasia. 4. Dogs need vitamin D for healthy teeth and bones. Deficiency in this vitamin produces weak teeth and brittle bones. 5. Vitamin E is an excellent source of antioxidants. Deficiency in vitamin E can lead to heart problems and several types of cancers. 6. Vitamin K is used for blood clotting. 1. Minerals such as calcium and phosphorous are required for strong bones and cartilage. 2. Minerals are needed for the nervous system to function properly. 3. They help promote muscle metabolism. 4. They are used in the production of hormones. 5. Minerals transport oxygen in the blood. It is important to know that too much or too little of a certain mineral can affect the functions of other minerals in your dog’s body. In addition, there are also cases where the action of one mineral depends upon the action of another mineral. For example, the minerals iron and copper work hand-in-hand to produce hemoglobin. Iron is necessary to produce hemoglobin in red blood cells while copper is equally important for hemoglobin formation. One will not be able to function properly without the help of the other. In this article we look at some brief, simple advice on selecting a quality diet for your dog. Just as we perform better when we eat the best foods, your dog will also be healthier if you feed it premium high quality pet food. The top brands of dog food, while often a little more expensive also have higher quality ingredients that will give your dog better all round nutrition. The best foods have a complex range of vitamins and minerals that have been designed to give your dog all the elements that they need in their diet. This applies to their canned foods and also the dry food such as biscuits and nibbles. These foods also contain a lot less additives and we have shown in a previous newsletter how these additives in the form of preservative, colouring and fillers are detrimental to your dog's health and fitness. How much food does a dog really need? It seems not many a day goes by where we're not hearing more about the rise and rise of obesity. Sadly, our pets are also widening around the girth. It is of course easy to control the amount of food your dog is eating and it is essential that you gauge its weight on a regular basis to ensure that it doesn't get obese. There are an increasing number of dogs suffering from this disease and in most cases this could have been avoided through the correct nutrition and monitoring the amount of food the dog has been eating. 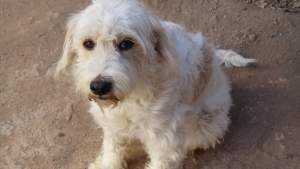 Having a dog with diabetes will necessitate the injection of insulin or in some cases taking of pills to assist in the maintenance of the correct sugar levels in their blood. Raw dog food, natural dog food, the BARF diet – all gaining in popular appeal amongst dog owners. In this detailed report Carol O’Herily examines the impact of feeding raw on your dog’s health, behaviour and more. To BARF or not to BARF – that’s the bone of contention at the moment in the dog world. The UK’s pet owners are warned today that they are killing their pets with kindness, as new PDSA figures show dog obesity is rising at a dramatic rate! The British Veterinary Association (BVA) has welcomed the European Parliament vote to improve the labelling of food, including new country of origin labelling and a requirement to label meat from animals slaughtered without stunning (according to certain religious traditions). The European Parliament has voted in favour of labelling for meat from slaughter without stunning. The BVA believes that all animals should be effectively stunned before slaughter to improve the welfare of these animals at slaughter. Is Natural Dog Food Better? While natural food is a rising trend among humans, pet owners should be careful before feeding similar types of food to their pets, according to a Kansas State University veterinarian. All too often pet owners assume that because certain foods, such as fruits and vegetables, are healthy for them, they are also healthy for their pets, said Susan Nelson, K-State assistant professor of clinical services.